As an Independent Celebrant Penny will work with you to create the ceremony that truly reflects you and your life or that of the person you have lost. Wedding Ceremonies that you and your guests will remember for years to come. Reflecting you as a couple, your lives together, your dreams and aspirations, in the venue of your choice. Funerals that truly speak of and celebrate the life of the loved one that you have lost. Baby naming ceremonies to celebrate and welcome your baby into your family circle. Based in Shropshire, Penny will travel to work with you for your special occasion. Whether it be your wedding, hand fasting, baby naming, special anniversary celebration, or the funeral of your loved one. 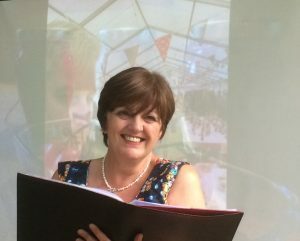 Penny has worked as a Registrar of Births Deaths and Marriages for some 10 years, conducting many weddings in a variety of venues. As well as helping you to develop a bespoke wedding ceremony for your special day, she can also advise and help with the legal requirements of your Marriage. She has a wide experience of working with people from a variety of backgrounds. A theme throughout her career has been to recognise the diverse nature of our communities and to ensure that each individual persons need is met. When you choose Hibiscus Ceremonies to conduct your wedding ceremony you have the opportunity to book a Little Space to plan your big day. A 2 night stay at Hop Pickers Cottage, Berrington, Worcestershire..
Space and time to talk through your plans together, away from the hurly burly of day to day life. 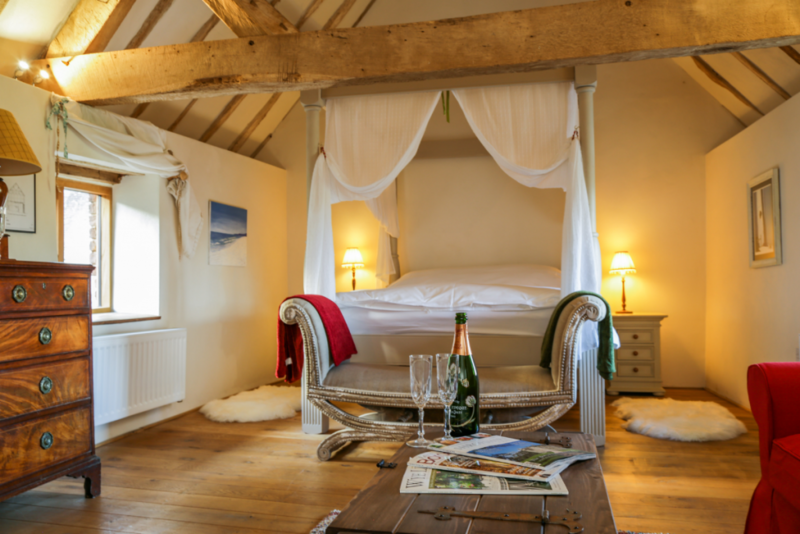 Your Little Space package provides you with a unique opportunity to relax and gather inspiration as you enjoy exploring the gardens, the surrounding area of Teme Valley and The Marches whilst dreaming your wedding into reality. Hibiscus flowers traditionally represent, delicate beauty, unity and peace. Given in the Victorian period to signify that the recipient was beautiful. Our packages are designed as guidance to help you see what can be achieved for your special day. They are very flexible, your requirements and the cost will be discussed and agreed at our initial meeting with you. A bespoke ceremony, planned, designed and written just for you. One face to face planning meeting of up to 2 hrs. Any amount of telephone, email contact as required. A simple but beautiful wedding, Hand fasting or Unity candle ceremony written for you with your full approval before your wedding day. This may include readings and your own vows. Help and advice regarding legal requirements of your marriage. Any amount of telephone, e mail contact as required. A beautiful wedding ceremony written for you with full approval before your wedding day. This may include any number of readings and your own vows. Two face to face planning meetings of up to 2 hrs. A specific wedding theme requiring additional research and writing for that theme.